Why Are Smart and Energy-Efficient Homes the Future of Housing? As technology advances and the society progresses, we’re presented with all kinds of wonders that can improve our homes and elevate their designs to a more futuristic level. And as we’re being presented with state-of-the-art home features by the day, we cannot help but wonder what is yet to be seen. Based on current trends, it seems that we already have the answer: smart and energy-efficient homes brought together to be the future of housing. We don’t need to wait for the future to see what smart living will look like. In fact, we can already see the traces now and then in the form of smart appliances, automated lighting and automation systems. That’s hardy all, much more is already being implemented and still awaits us, bringing new levels of functionality, convenience and accessibility to modern homes. Alex Hawkinson, the Founder and CEO of Samsung SmartThings, has already brought us one huge step closer to smart living by designing the SmartThings platform, enabling us to connect all of our electronic devices through a single tech hub. Consequently, we’ve been given homes that can do simple tasks for us and make our everyday lives easier. Futuristic homes will bring this quality to a higher level, enabling aged and disabled individuals to reap all the benefits that smart living brings. Home design is all about energy efficiency nowadays and for a reason. Energy-efficient homes are not only healthier and more beneficial for the environment, but they also bring numerous opportunities for increased savings to homeowners. By installing energy-efficient features, such as energy-saving lighting, Energy Star-certified appliances and renewable energy systems, homeowners can increase their savings by reducing their energy consumption while also enhancing the value of their properties. 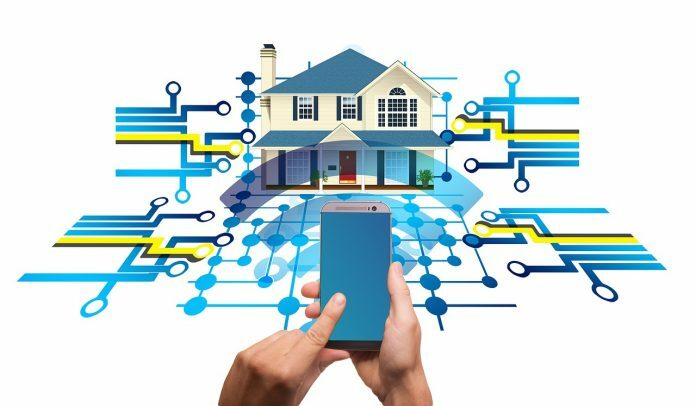 Thus, we can expect that futuristic home design will find new ways to enhance the sustainability and energy-efficiency of smart homes. In fact, we can already have a glimpse of such a design in the Honda Smart Home prototype that has incorporated all the best features of smart and energy-efficient designs. Having consider these two most dominant trends in modern housing that are certainly expected to grow bigger and better in the future, can we predict what lies ahead? We certainly can and the answer lies in smart home features designed to boost energy efficiency of a home. Modern and futuristic designs will bring the best of both worlds together, providing homeowners with dwellings that will provide them with the highest levels of accessibility and energy efficiency. Here are some of the features and installations that make smart and energy-efficient synonymous. As one of the emblems of energy efficiency, solar systems have become a norm that already provides homeowners with numerous benefits. Currently, the average 5kWp solar system is the most practical and profitable solution for homes with average electricity needs, providing owners with a high return on investment. With innovative SMA inverters, solar batteries and Wi-Fi access, solar systems are getting better by the day, enabling homeowners to break off from the grid completely and ensuring their optimal performance. The most recent design when it comes to solar energy is in the form of solar shingles that will perhaps be more present in the future home designs. We can already see homes where Amazon Alexa, Siri and Google’s Assistant help homeowners with simple, automated tasks. By installing a tech hub, we can now connect our electrical devices and control them remotely via our phones. However, this home automation is brought to more energy-efficient level owing to innovative energy-management systems. An example of such a high-tech feature can be found in the Honda Smart Home where the main system controls, monitors and manages the home’s energy production and consumption. It’s only a matter of time when such systems will be implemented in homes around the globe, providing us with the greenest level of home automation. Technology leaves no window behind. So, get ready for a new generation of high-tech windows that will feature innovative insulation, microprocessors and sensors. Such a smart window design brings automated shading that will adjust itself depending on the time of day and the amount of light. Not only will this provide homeowners with more comfort and better lighting, but it will also reduce a home’s solar heat gain, which will relieve pressure from AC units and reduce energy consumption. Smart thermostats can already be found in modern homes, and they are an effective way to enhance their energy efficiency. These simple features can make your home heating smarter, allowing you to maintain a more pleasant and stable indoor temperature. Pre-set configurations can make your life easier by turning your heating on right before you arrive home. Furthermore, smart thermostats can also learn your habits and provide you with valuable information that can contribute to a smarter use of energy. Consequently, this can enable you to have more control over your heating, which will provide you with financial benefits in the long run. New and improved home insulation will be yet another efficiently smart feature that will bring increased savings and enhanced comfort to homeowners. What makes this new type of insulation special is its use of innovative, eco-friendly composite materials. This new type of foam insulation will be used for attics, floors and walls, reducing both heat gain and heat loss from homes. The future of housing will certainly provide us with greener, smarter and more comfortable living spaces that will consist of innovative, high-tech and energy-efficient features designed to bring the best of both worlds right to our homes.